Inevitably, if you have abstained all your life, you don't truly know what you are missing. But the thirst is still there, deep down, underlying everything . . .
Peter, Helen, and their teenge children, Clara and Rowan, live in a typical suburba English town. They are an everyday family, averagely dysfunctional, averagely content. But, as their children have yet to find out, the radleys have a devastating secret. In this moving, thrilling, and extraordinary portrait of one unusual family, The Radleys asks what we grow into when we grow up, and explores what we gain - and lose - when we deny our appetites. 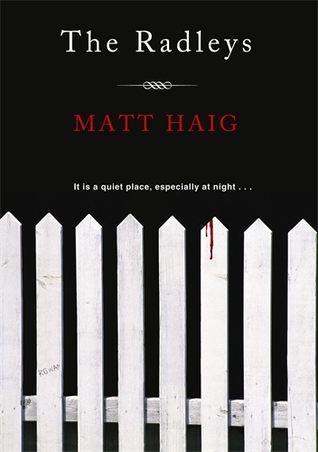 The Radleys is a sinfully delicious treat, a witty tale of bloodthirsty suburbanites that manages to defy most of the tropes of the vampire genre. The Radleys seem like your typical suburban family, even if they are a little odd. But beneath this veneer of normalcy lies a deep, dark family secret, one the kids don't even know - they are a family of vampires. When the truth comes out in a horrifying way, they have to face the reality that they can't keep living such a half-life, and they have to dig out the skeletons in their closet along the way. This is such a good book! 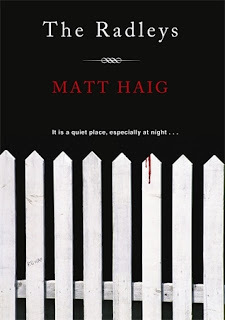 I plan on reading more Haig soon- his Dead Fathers Club is on my tbr shelf.